The past several weeks have been horrendous for California firefighters. They have been battling blazes on several fronts throughout the state. As often happens during these dry months with Santa Ana winds just as one fire is brought under control another one reaches critical mass. So far, damage estimates have reached over $1 billion and that’s a number that is sure to go even higher. Once the fires have been put out, the cleanup effort begins. Often this falls to homeowners who are eager to take care of their own property cleanup as opposed to waiting for municipal help. That doesn’t mean they need to do this type of work alone. Reliable debris cleanup assistance is always waiting from Junk King Orange County. Whenever there has been a natural disaster in Orange County, Junk King provides a rapid response. They have swooped in to remove water damaged items from homes and cleared away debris from falling trees. They understand that the sooner they complete this work the sooner homeowners can get back to some sense of normalcy. Junk King always sends over at least two capable movers to handle the debris cleanup. This is a very friendly and hard-working crew that prides itself on their efficiency. You’ll be able to direct them towards any pile of debris that you want removed whether that is inside or outside of your house. Before the crew rose up their sleeves and gets to work, they want to work out the price with you. They can only finalize that price once they’ve had a chance to size up all the things you want to get rid of. They’ll be looking to see how it will be packed onto the truck. These crews are great at visualizing that type of packing. They’ll know right away whether your stuff will fill up the whole truck or just half. When you agree to the price the spring into action and you’ll be pleasantly surprised at how quickly your unwanted stuff gets loaded. Junk King Orange County is always standing by to help homeowners and businesses take care of their debris cleanup. Put them to work today. 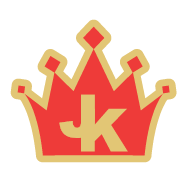 This entry was posted in OC Junk Removal and tagged debris cleanup, fires, Junk King on October 22, 2017 by Junk King. Last updated October 22, 2017 .